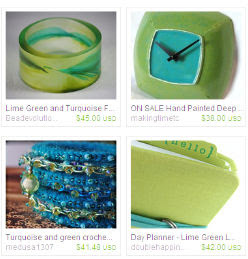 Have I mentioned recently that my favorite color combination is lime and turquoise? I have? Oh, well, I'm mentioning it again. 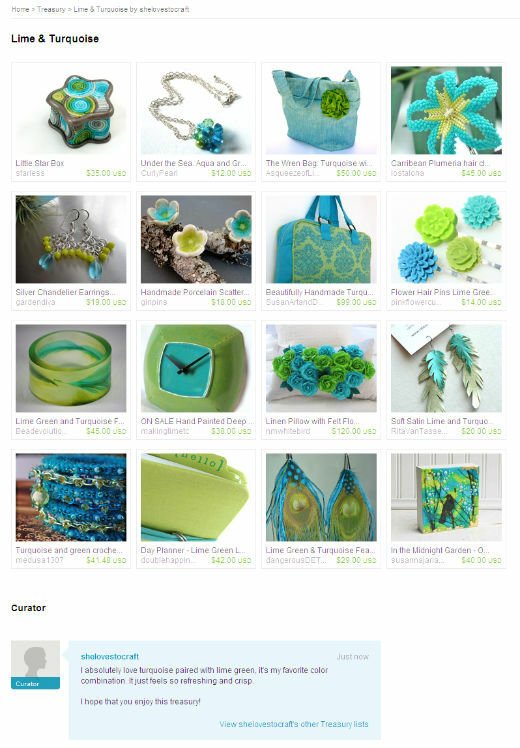 I put together and Etsy Treasury celebrating that refreshing and bright combo. I've discovered that putting together treasuries are pretty much a lot of fun, and a really great way to kill a little bit of time. I spend a lot of time checking out different stores and items, so I might as well share some of my finds, right? Anyhow, click on the image below to see the whole treasury. Edited to add a screenshot of the whole shebang. I love the two colors together. So refreshing! Thanks for the inspiration! I'm so glad you stopped by my blog to enter my giveaway! Good luck!